Expatriates tax planning in the Baltic's 2017 tax seminar dealt with secrecy and confidentiality of banking system matters in context of tax avoidance. Banking system in the Baltics has challenging time. 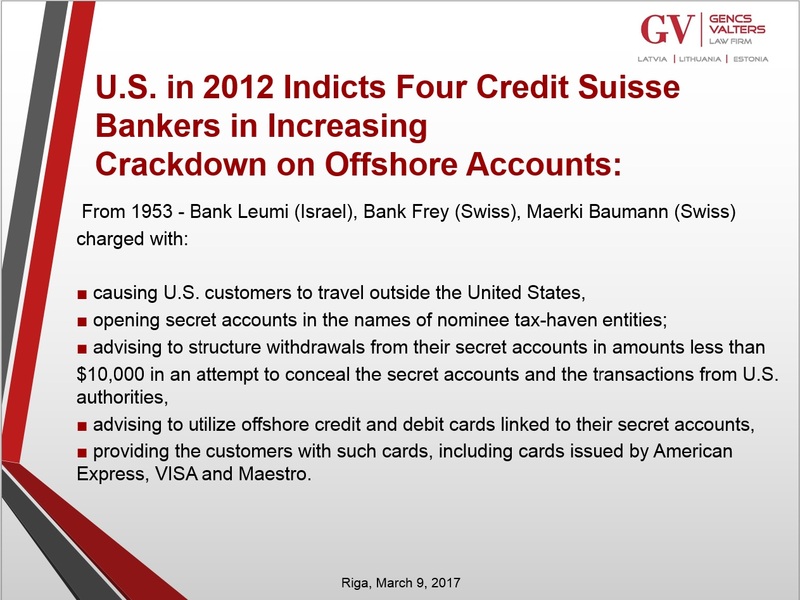 After several closures in the banking sector- Latvijas Krajbanka, Parekss and Trasta banka in Latvia, Snoras in Lithuania as well as imminent threat of being deprived US dollar account corresponding accounts, the banking sector is subject to more stringent new rules as to identification of origin of monies. 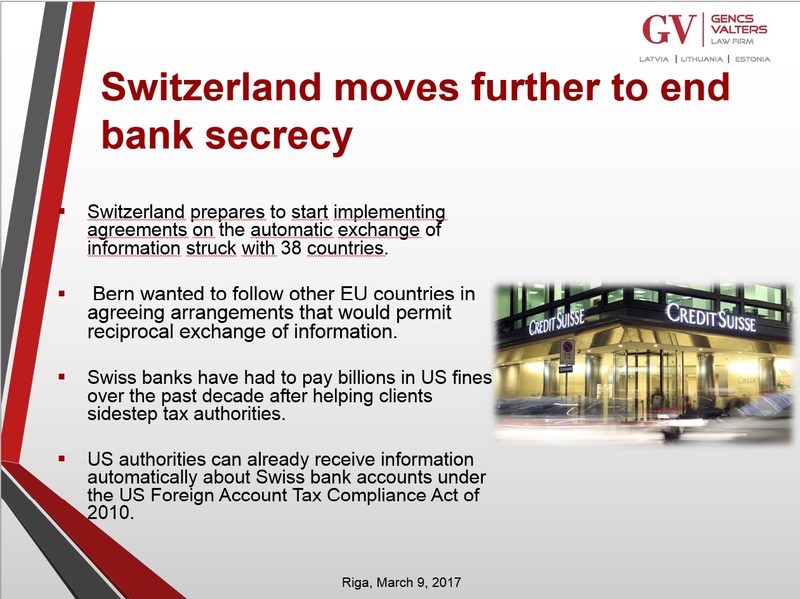 Tax avoidance is acceptable though evasion is the one that Latvian banking regulators are after the same as all over the Europe. Recently new amendments to the Law "On Taxes and Fees", establishing that credit institutions and payment service providers have to provide the State Revenue Service (Tax administration of the Republic of Latvia) with the information regarding suspicious transactions what meet the respective signs of suspiciousness in tax matters. Therefore with the amendments to the Law the obligation is established for credit institutions and payment service providers, when identifying suspicious transaction according to the Law “On the Prevention of Money Laundering and Terrorism Financing”, to inform the Tax administration for such person`s suspicious transactions, who are residents of the Republic of Latvia or who are registered in Latvia, on transactions what correspond to the signs of suspicious transactions. The description of other slides will follow.